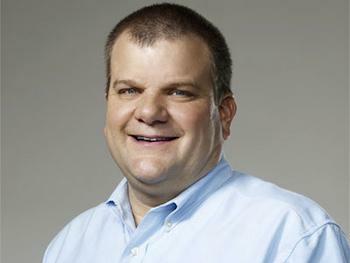 After 13 years with Apple leading the hardware engineering team on projects such as the iPhone, iPad and MacBook Pro, Senior Vice President of Hardware Engineering Bob Mansfield is to retire. His substantial shoes will be filled by the current Vice President of iPad Engineering, Dan Riccio, who originally joined Apple as Vice President of Product Design in 1998. This makes Riccio the (slightly) longer-standing employee. To outsiders, many will recognize Mansfield as a regular from Apple’s product launch videos, where he would talk about the hardware and innovation behind the latest tech, and he was also present at the infamous “antennagate” press conference too. While that may have been one of the low points, the introduction of the iPad is undoubtedly going to be one of his high points. Normally a little stoic in his video appearances, hearing Mansfield describe the tablet as “the most advanced piece of technology” he’d ever worked on at Apple, then animatedly talk about the screen and the A4 chip; his passion for the brand and its products becomes obvious. So why has he decided to call it a day? An analyst told PCAdvisor.com that Mansfield’s decision to retire could in part be due to Steve Jobs’ death, not necessarily because the company has changed, but perhaps due to the loss of the “sense of anticipation and excitement” that Jobs created. Mansfield joined Apple shortly after Jobs’ return to the company. However, in April last year it was reported that Mansfield had cashed in a total of $58.5 million in Apple shares over the previous three years, providing a far more compelling reason for his departure. While this is a healthy sum, many may be surprised he has departed before the promised stock bonus arrives in 2016, which at the time of issuance was worth approximately $60 million. Dan Riccio on the other hand, hasn’t made the headlines prior to this, but like Mansfield, has appeared in several videos for Apple in the past, primarily when he was VP of product design. Mansfield will be staying on at Apple for several months yet, so he can handover the reigns to Riccio, which suggests he’ll be around for the launch of the next iPhone in September or October.